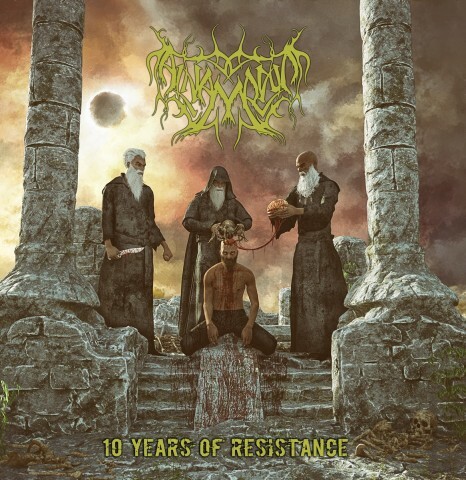 The black metallers from Saudi Arabia will celebrate the 10th anniversary of the band with the release of the album "Ten Years of Resistance". Above, you can check one of the tracks of the upcoming LP "Asdaa Al Dmar". "Ten Years of Resistance" will be released on July 20 via Shaytan Productions. The album will be issued in limited edition on CD (500 copies), on gold vinyl (100 copies) and vinyl black (200 copies). The album pre-order is available here. Follow the link to listen to Al-Namrood’s record "Enkar" (2017). Also read Noizr Zine's interview with the band’s vocalist Humbaba, who talked about the local metal scene of Saudi Arabia, the attitude of the local population to heavy music, and how Al-Namrood members manage to defend anti-religious views in a country where atheism is punished death.